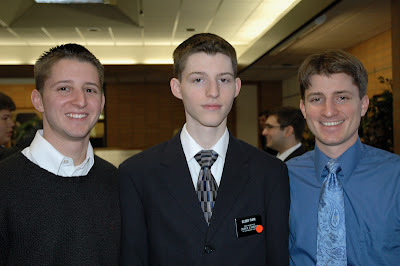 Last Wednesday we saw Danny off at the Missionary Training Center (MTC) in Provo, UT. He will be there for three weeks, departing February 27th to complete the remainder of his two-year mission in Canada. More specifically, he'll be serving in the Canada Halifax Mission, which covers the Canadian provinces of Nova Scotia, New Brunswick, Newfoundland and Labrador, Prince Edward Island, and part of northern Maine. In this picture, Larry's mom is putting on Danny's missionary name tag (the little orange dot means he's a newbie). He'll be known as Elder Furr for the next two years. Ava came out to support her Uncle Danny as well. 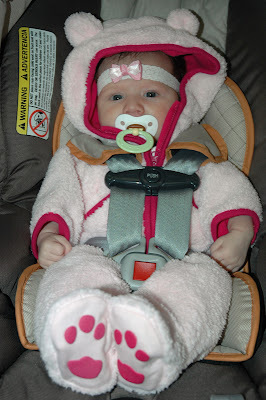 She dressed as the Canadian national animal. I Love baby AVA. She looks very cute. 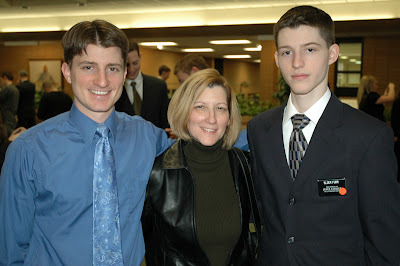 Danny looks nice too with his missionary hair cut. Thanks for putting up all these great pictures. It made me cry haha.